I’m gearing up for summer reading and going through my dinosaur books to see what I can flannelize. (I also use these stories to promote the summer reading programs at preschools.) 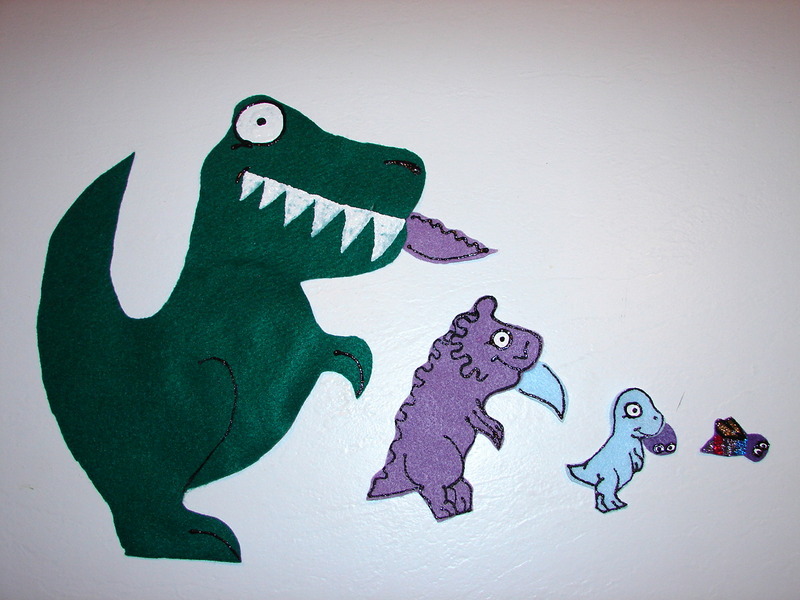 My new favorite is Dino Bites by Algy Craig Hall. I guess I’ve raised the bar too high with my stories lately. The kids always want a “magic” story. So, I stretched my imagination to come up with a little magic for this one. 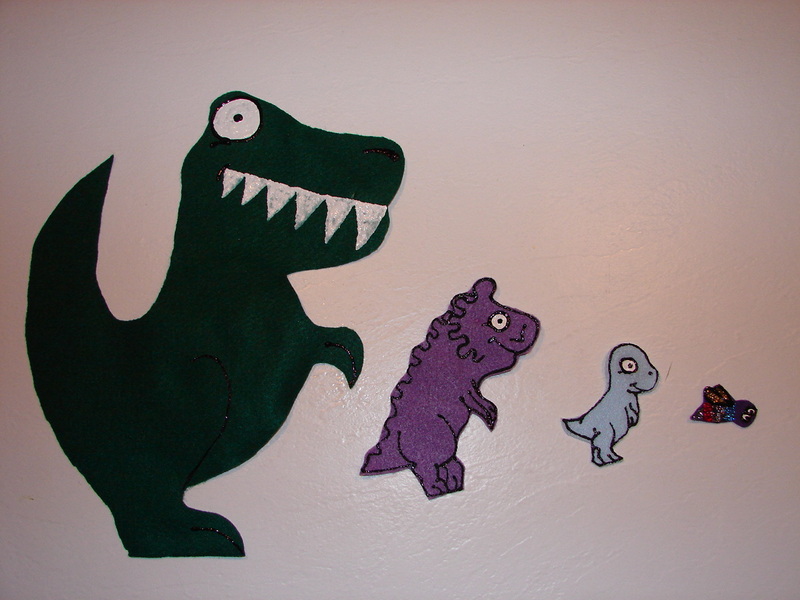 First, I created the four animals in the story and painted them. Introducing Dinosaur, Lunch, Snack, and Bite. When I tell the story, I’ll start with the dragonfly and hide him in my hand while pull out dragonfly head hiding behind the little blue dinosaur (see my trick below). Here’s Bite, Snap, and Crunch. Soon the big t-rex will be the only dino on the board. 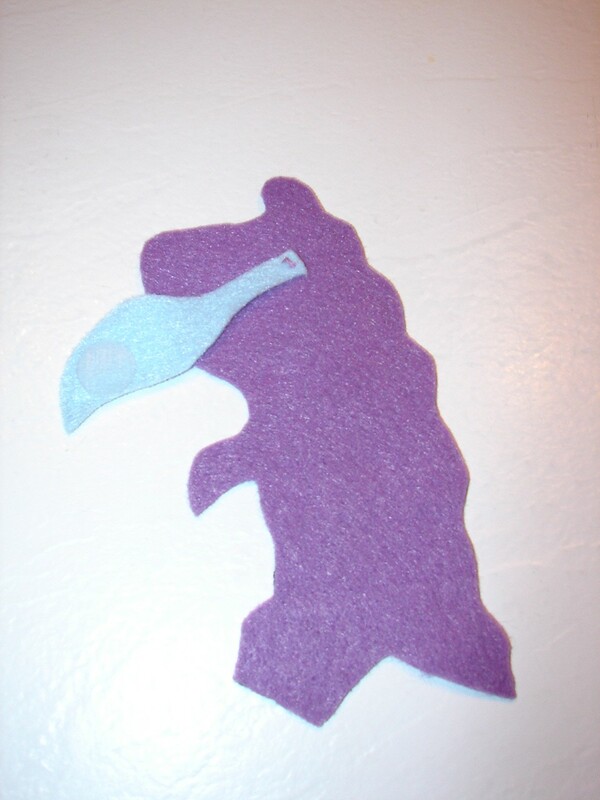 I sewed each tail to the dinosaur and added a transparent Velcro tab so it sticks under the dino when I put him on the board. 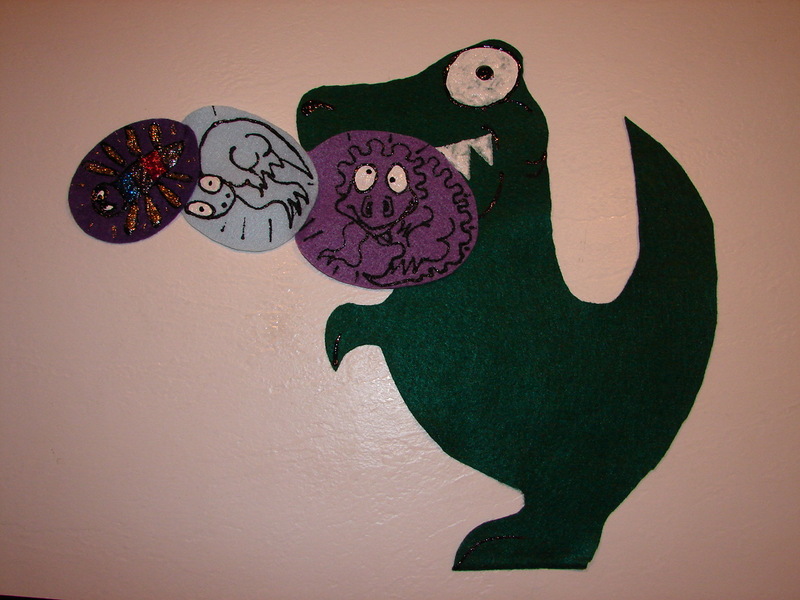 I also sewed the circular stomachs together so when I pull on the dragonfly each animal comes out of the t-rex’s mouth. For other flannel ideas check out Read Sing Play. She’s hosting Flannel Friday this week. 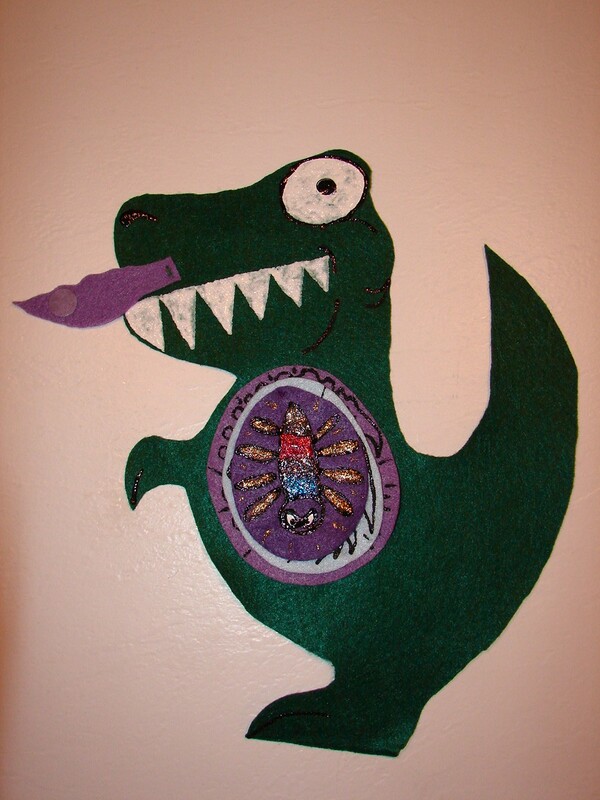 This entry was posted on April 11, 2013 by mrsshaia in Dig Into Reading, Dinosaur storytime, Flannel Friday and tagged Dig Into Reading, Dinosaur Storytime, Flannel Friday.